The authors of a 2017 paper on how chronic inflammation might hasten aging have retracted the work because it turned out to be a collage of previously published articles. The paper, “Chronic Inflammation: Accelerator of Biological Aging,” appeared in The Journals of Gerontology: Series A, an Oxford University Press title. It has been cited 41 times, earning it a “Highly Cited Paper” designation from Clarivate Analytics’ Web of Science, meaning it has earned more citations than 99% of papers published in its field that year. The first author is Bertrand Fougère, of Université de Toulouse III Paul Sabatier and Tours University Hospital. Jenny NS. Inflammation in aging: cause, effect, or both? Discovery Medicine. 2012: 13(73), 451–460. Boulanger E, Puisieux F, Gaxatte C, Wautier JL. Aging: role and control of glycation. Rev Med Interne. 2007 Dec: 28(12): 832–40. Franceschi C, Campisi J. Chronic inflammation (inflammaging) and its potential contribution to age-associated diseases. 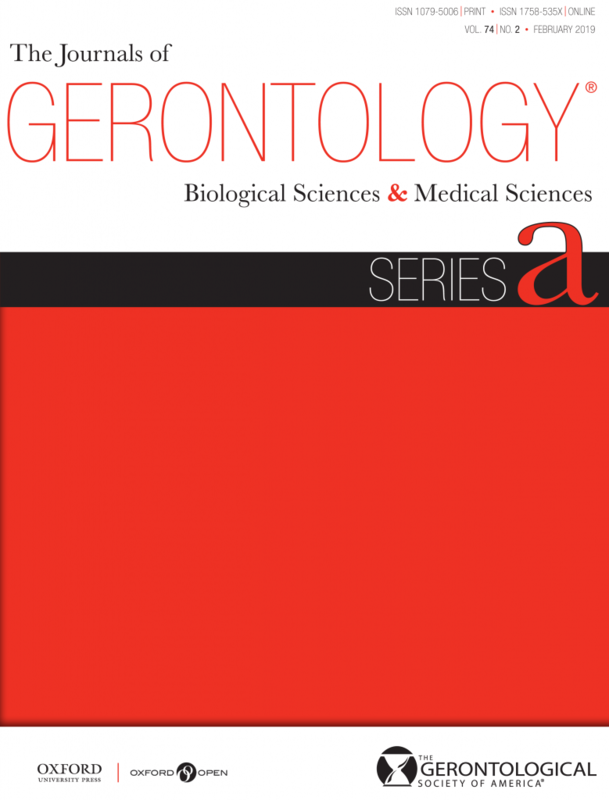 Journals of Gerontology, Series A: Biomedical Sciences and Medical Sciences. 2014 May: 69(Suppl_1):S4-9. Kim CS, Park S, and Kim J. The role of glycation in the pathogenesis of aging and its prevention through herbal products and physical exercise. Journal of Exercise Nutrition & Biochemistry. 2017: 21(3):55–61. Hartog JW, Voors AA, Bakker SJ, Smit AJ, van Veldhuisen DJ. Advanced glycation end‐products (AGEs) and heart failure: pathophysiology and clinical implications. European Journal of Heart Failure. 2007:9(12), 1146–1155. Deleidi M, Jäggle M, Rubino G. Immune aging, dysmetabolism, and inflammation in neurological diseases. Frontiers in Neuroscience. 2015;9:172. Kiecolt-Glaser JK. Stress, Food, and Inflammation: Psychoneuroimmunology and Nutrition at the Cutting Edge. Psychosomatic medicine. 2010;72(4):365–369. Coelho M, Oliveira T, Fernandes R. Biochemistry of adipose tissue: an endocrine organ. Archives of Medical Science. 2013;9(2):191–200. Monteiro R, Azevedo I. Chronic Inflammation in Obesity and the Metabolic Syndrome. Mediators of Inflammation. 2010;2010:289645. Davalos AR, Coppe J-P, Campisi J, Desprez P-Y. Senescent cells as a source of inflammatory factors for tumor progression. Cancer Metastasis Reviews. 2010;29(2):273–283. Ginaldi L, Di Benedetto MC, De Martinis M. Osteoporosis, inflammation and ageing. Immunity & ageing. 2005;2:14. doi:10.1186/1742-4933-2-14. Metti AL, Cauley JA. How predictive of dementia are peripheral inflammatory markers in the elderly? Neurodegenerative disease management. 2012;2(6):609–622. Cevenini E, Monti D, and Franceschi C. Inflamm-ageing. Current Opinion in Clinical Nutrition & Metabolic Care. 2013: 16.1: 14–20. We know this problem. We did some big mistakes forgetting to cite some papers in our review paper. So, we asked the editor to retract our manuscript. We were very uncomfortable with this situation. Anne B. Newman, the editor of the journal, told us that her publication did not have a policy of screening all manuscripts for plagiarism, but that’s changing. We also wondered about the choice of wording in the notice, specifically the use of “overlap” instead of “plagiarism.” Newman said that came from her office, not the researchers. The Authors have retracted this article because it contains sections that substantially overlap with the following articles (amongst others) [1,2,3,4,5,6]. All authors have agreed to this retraction. The online version of this article contains the full text of the retracted article as electronic supplementary material. Van Craen K, Braes T, Wellens N, Denhaerynck K, Flamaing J, Moons P, et al. The effectiveness of inpatient geriatric evaluation and management units: a systematic review and meta-analysis. J Am Geriatr Soc. janv 2010;58(1):83-92. Stuck AE, Siu AL, Wieland GD, Adams J, Rubenstein LZ. Comprehensive geriatric assessment: a meta-analysis of controlled trials. Lancet. 23 oct 1993;342(8878):1032-6. Cesari M, Landi F, Vellas B, Bernabei R, Marzetti E. Sarcopenia and physical frailty: two sides of the same coin. Front Aging Neurosci. 2014;6:192. Beaudart C, Rizzoli R, Bruyère O, Reginster J-Y, Biver E. Sarcopenia: burden and challenges for public health. Arch Public Health Arch Belg Sante Publique. 2014;72(1):45. Marzetti E, Calvani R, Bernabei R, Leeuwenburgh C. Apoptosis in skeletal myocytes: a potential target for interventions against sarcopenia and physical frailty – a minireview. Gerontology. 2012;58(2):99-106. We have changed all the writing methods in order to have never again this problem. As I said, it’s a very uncomfortable situation and there will be no paper with this problem in the future. Dr Fougere was doing a sabbatical with us from Toulouse. This was a paper I suggested he write and I provided him the scope of the article.When reading the article and making a number of corrections I missed the overlapping section. As soon as I became aware of the overlapping section I had the paper retracted. So, it means that low level of overlap (a.k.a. cheating, plagiarism, and misconduct in the past) or high level of referenced are fine and acceptable as long as the citation was correctly done. Overlap is plagiarism, no matter referenced or unreferenced. Academic literature is full of such cheating papers, needs a movement of clean up. The movement requires money and fund. My suggestion is that the authors and institutions of retracted papers due to misconduct must pay an amount to a fund to support of literature clean up. The RW report is incomplete as it doesn’t clarify what ended up to retraction, article readers or “At the request of the lead Author”? Who found those “overlaps”? These are the important issues that the Journal report should disclose.